I had the opportunity last week to hear Mark Miller from Chick-fil-A speak at an event that I was facilitating for Leadership Network in Dallas. Mark was sharing about how they have built a leadership culture at Chick-fil-A, and he said one of the keys to sustained leadership development is the capacity of the leader. Humans have finite capacity, but well-built structures have the ability to have infinite capacity. I wonder how many of our small group systems take that fact into account? When your structure is built solely on the perseverance of the leaders, it will eventually stop growing. There is only so much that a leader, especially a volunteer leader, can produce before something has to give. 1. Build in breaks to the schedule. We cannot expect our leaders to continue to thrive if they are not stepping back from the whirlwind occasionally. In football, it doesn’t matter how dominating your defense is. If they are playing every down of the game without breaks, they will start giving up ground. There are natural breaks every year where leaders should be encouraged to take a breath and not worry about pulling off a normal meeting. They are usually refreshed and fired up to come back to it afterwards. 2. Provide easy to use curriculum. 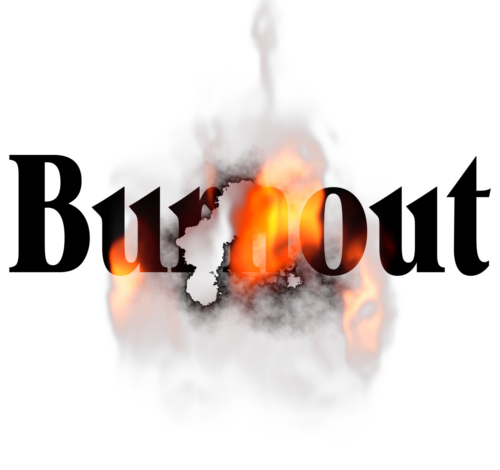 If you are expecting your leaders to build their own Bible studies every week, there will be eventual burnout. There are great DVD based studies that take a lot of the prep-work out of it. It’s always a great idea to provide studies to go along with the messages on Sunday. The homework is showing up on Sunday, and it reinforces the message beyond just one day. 3. Train leaders to share the work. Leaders are missing opportunities to disciple if they are doing everything for the group. The workload should be shared, not only to help the leader, but also to help group members discover their gifts. Each element of a group meeting should be carried by a different person, including facilitating the discussion. While we would love every leader to continue leading their group forever, the reality is that leaders need to occasionally completely step away from it for a season to be healthy. Build in the value of having an apprentice leader so they can be ready to step in and continue the group. This might be a great opportunity for the leader to move more into a coaching role for a semester. 5. Model a healthy balance. If you are not taking Sabbaths, you are not displaying a healthy ministry life for your leaders. The structure is only as strong as its leader. Ministry is a marathon, not a sprint. You have to model the balanced life that you want your leaders to be living. Posted on November 11, 2013, in Uncategorized. Bookmark the permalink. 3 Comments. Chris, this is a great post and I think #5 is critical. Modeling healthy balance and keeping a weekly Sabbath are often nice thoughts but happen to be the first things we allow to slip off our high priority list. Thanks for the reminder. Great advice and insights into preventing Leaders in the church from burning out.